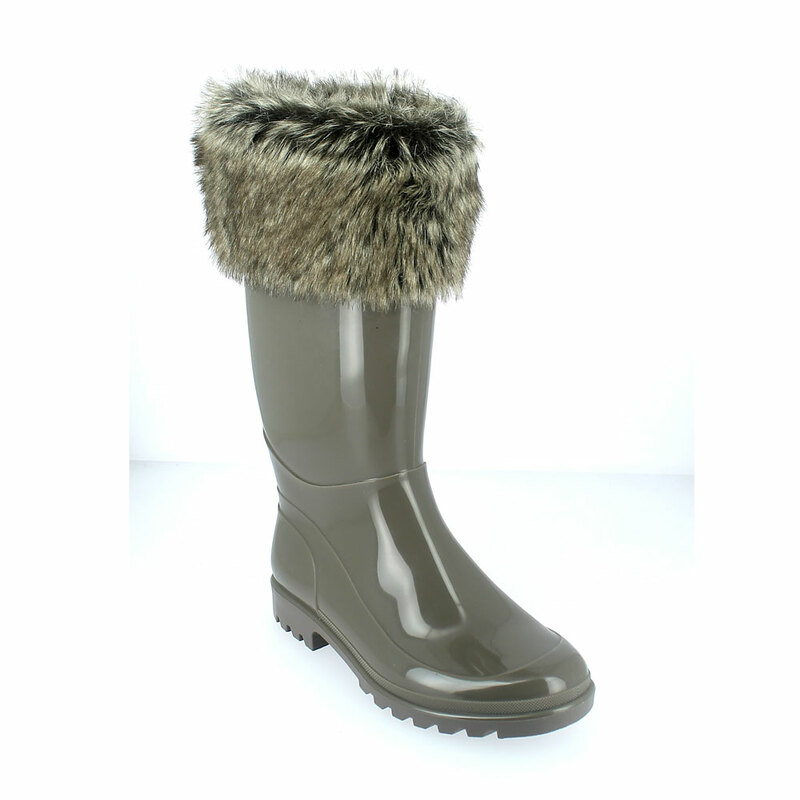 Bright finish Pvc Boot with synthetic wool inner lining and synthetic husky fur cuff. Made in Italy. Available colours for orders: taupe (grigio 411). Size run: 35-41.